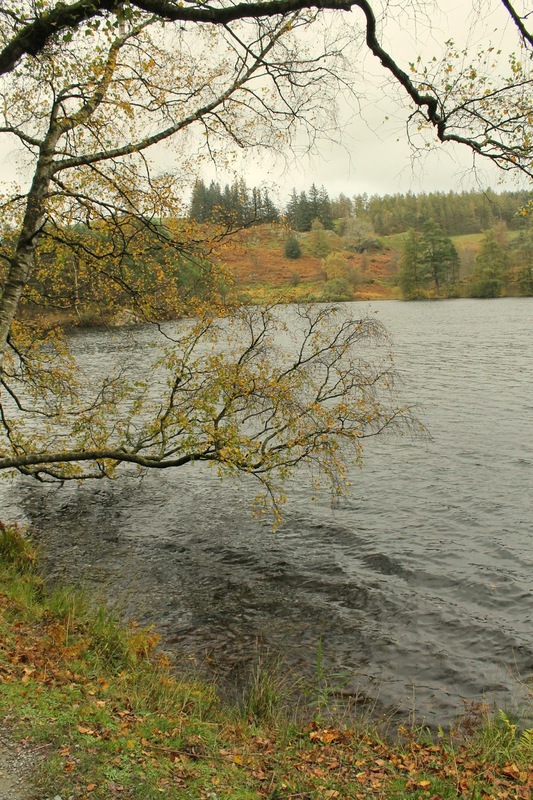 When I read about the hike at Tarn Hows in the Lake District, it went straight to the top of my things to do list. If you hike much with young kids, you know it's always a toss up as to how well they'll actually walk on their own two legs without complaining or flat out refusing. This hike not only looked gorgeous, but it was wheelchair accessible so we could bring our umbrella stroller and use that if anyone got too lazy tired. Which meant our two mile trek through some of the most gorgeous scenery of my life was relatively complaint free. The chance to breath in this air and admire these views in relative peace was outstanding. It's probably my favorite memory of the trip. Happy 3rd Birthday, Little Arrow! Happy 3rd birthday, Little Arrow! There was a time I didn’t think this day would come. Not because I didn’t think you’d live to see 3 (although your flying leaps off furniture and daredevil moves on the playground would suggest otherwise). But because for about a year and a half, you were sort of in a toddler rut. In my post earlier this week, I explained that one of the ways I organize plans for our trips is by weather. 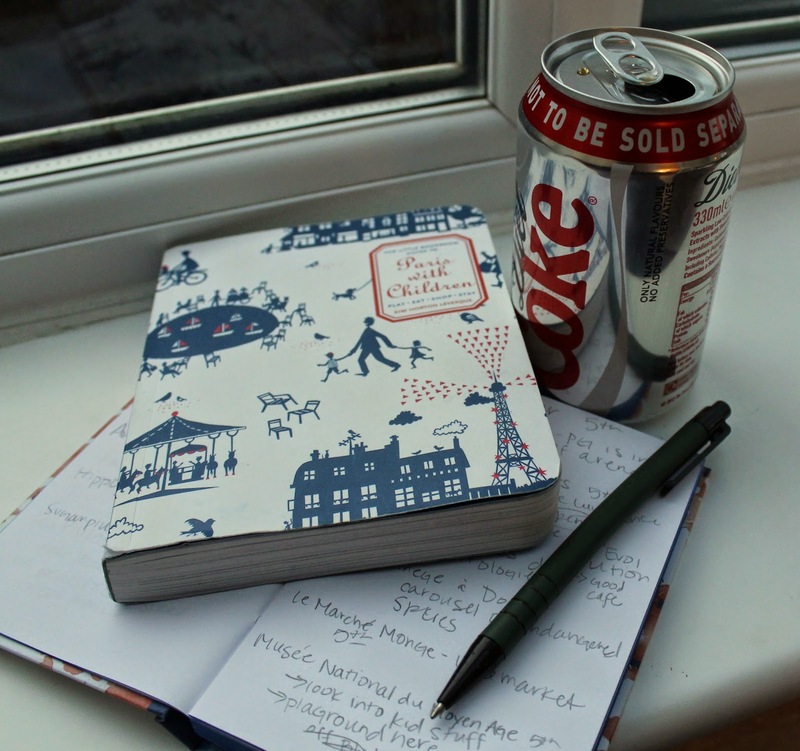 Meaning I keep a list of outdoor activities and a list for rainy or cold days. I knew both from looking at the forecast and from what I've learned about English weather that I better be prepared for rain when we visited the Lake District. 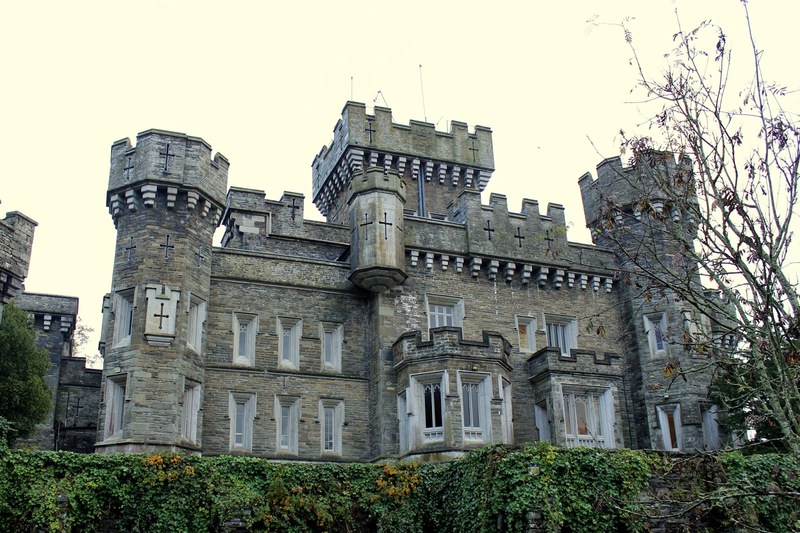 At the top of my rainy day list was a visit to Wray Castle. It looked really unique... a medieval-style castle built in the mid-1800s. Because its somewhat strange history, the castle was given to the National Trust completely empty. Meaning no paintings, sculptures, furniture or other relics that typically fill these types of properties. Much to our delight, the National Trust has instead packed the castle with incredibly family-friendly activities. 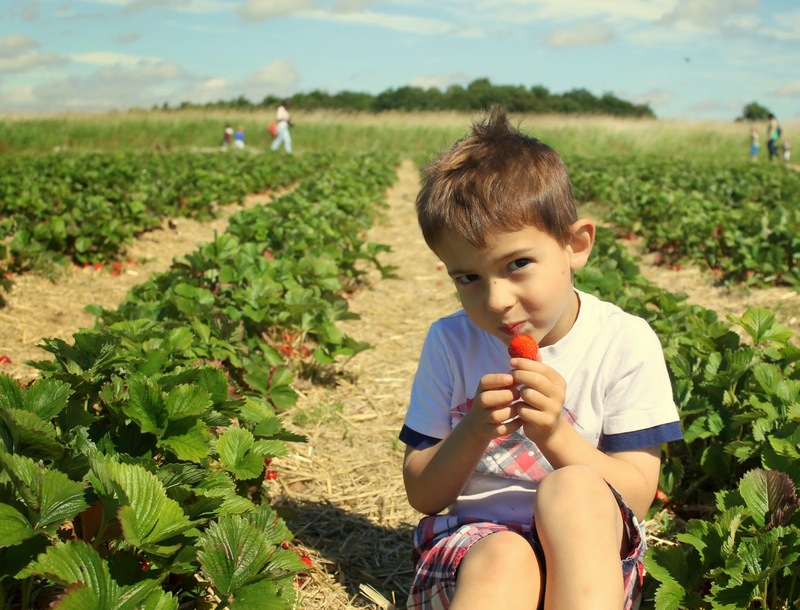 Last week I shared my initial steps for planning a family trip. While I felt it was a necessary post to write, it’s not the part I really enjoy and look forward to. I’m much more interested in the “how we’ll spend our time once we’re there” part of travel planning. Instead of steps, I’ll break this down into the various “stages” I find myself working through as I prepare for a trip. I should note that these stages work best if you have a couple of months until your trip starts. On those occasions where a trip gets booked with short notice, I identify one or two key resources (perhaps a blog that covers the region, or a guidebook that has excellent family resources) and just jump right ahead to the Finalizing phase. You can spend as much or as little time on this as you want. 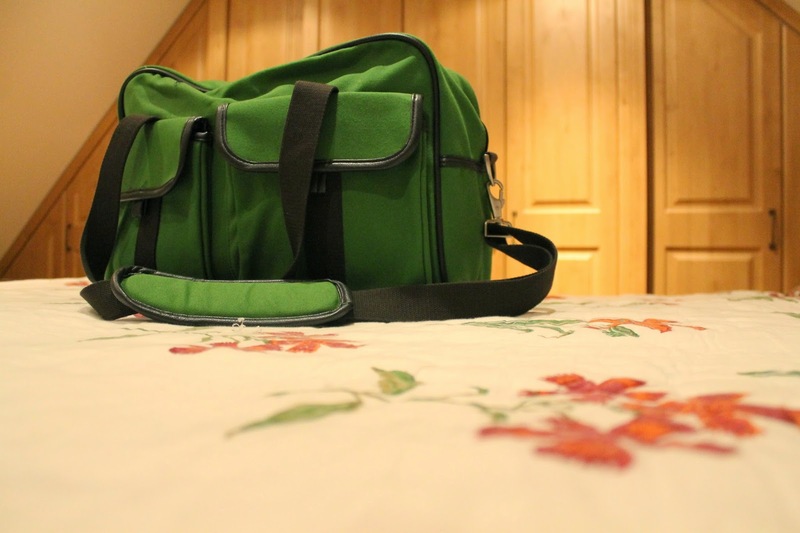 I spent only a few hours preparing for our Ireland trip. But I spent two months planning our Scandinavia trip last summer. Hopefully this will help you use whatever amount of time you have wisely. My travel planning happy place. Many a famous writer has hailed from the Lake District in northwest England (like William Wordsworth and Beatrix Potter). One visit there and you'll realize how creativity could be sparked into greatness by the amazing beauty that surrounds you there. Alas, I'll fall far short of their ability to describe this place with the written word. Instead, I'm relying on my trusty Canon Rebel camera to do that for me over the next few weeks in a series of photo essays about our long weekend there in October. 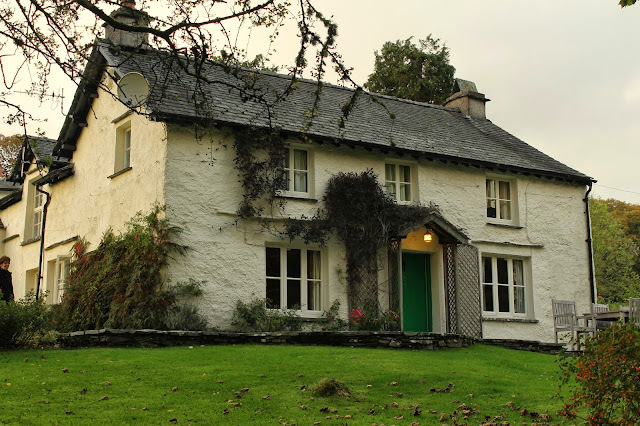 When I rented our adorable cottage in the Lake District, I selected it completely at random. I liked its size, the fact that it had a small playroom, and that it had some character and plenty of outdoor space. But I knew absolutely nothing about its location. I figured as long as it was in this beautiful area of England, it would probably be fine. I recently asked on the Arrows Sent Forth facebook page if any readers were interested in hearing more about how I organize our travels and plan our trips. I (happily) answer lots of questions from family members and friends about this, but haven't written much about it. Some of you experienced travelers may read this series of posts and roll your eyes. What I do is pretty basic stuff. And certainly, there may be better ways. This is simply what works for me and my family. 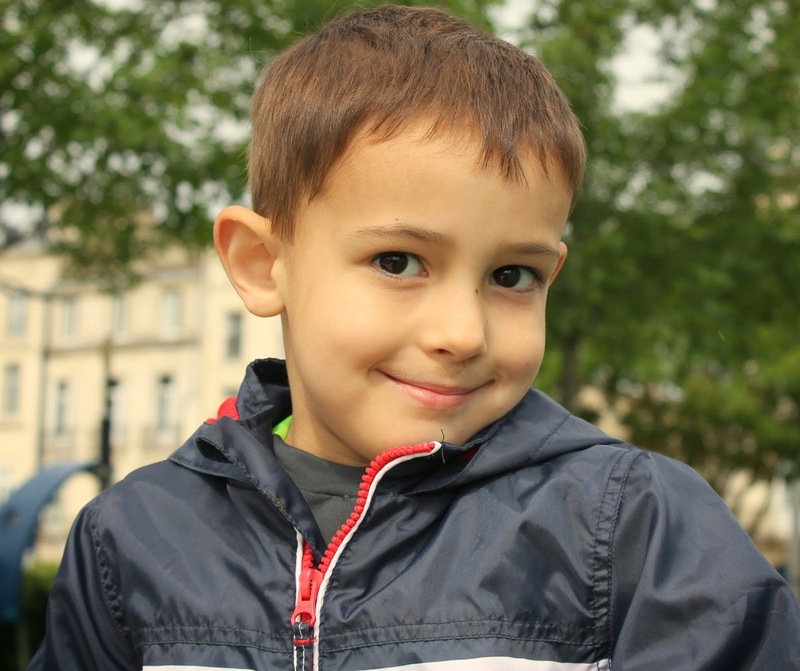 For those of you just starting out in family travel, I hope this is a helpful starting point. Sometimes this is the hardest part! Prior to moving abroad, we often based trips around things we had going on. Maybe we tagged along on my husband's business trip. Or road tripped it for a wedding. Other times we were craving sun and warmth, and just looked up where the cheapest direct flight to Florida was. I've been pretty up front that the first few months of life as an expat were difficult for me. I think I managed it pretty well and usually had a smile on my face. But I also refer to this time period as "the blur." I barely knew what end was up most of the time, and each day seemed to present a series of challenges I could never anticipate. I have a lot of fond memories from this time, too, don't get me wrong. But I'm happy to be past that initial "settling in" phase. Because at some point, it just gets easier. This seems to be true for almost every expat I know. I'm not sure there's a definitive timeline to that. For some, it's probably just a few weeks or months. For others, maybe a full year or more. I can clearly picture my moment of serenity in my mind. 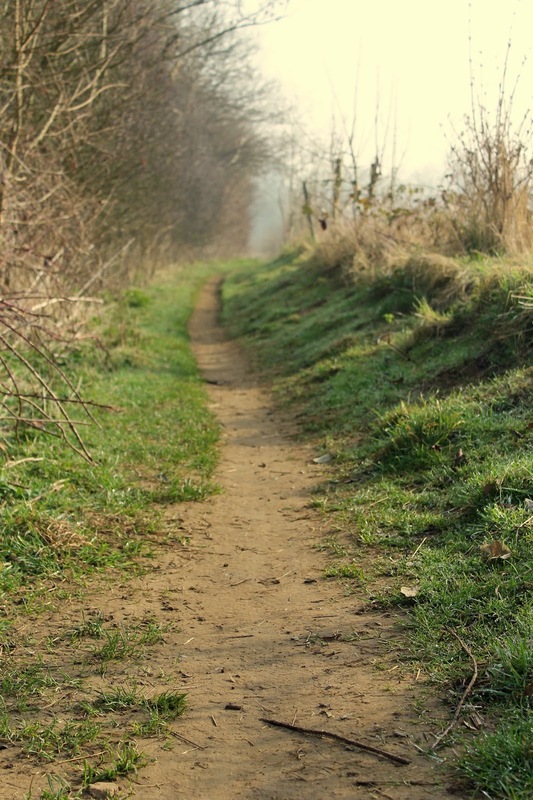 I was hiking on a footpath just a couple of miles from my home. I've seen a lot of gorgeous old buildings in my travels. And I've seen a lot of beautiful, natural landscapes too. 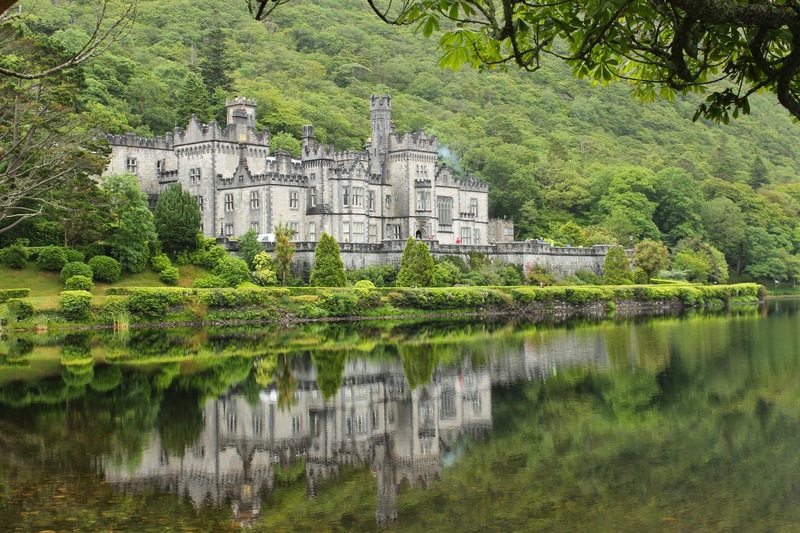 Rarely have I been lucky enough to witness the two merge together quite like they do at Kylemore Abbey in Connemara, Ireland. The Abbey is nestled into the bottom of the Twelve Bens, a mountain range in this northwestern part of the country. As if the building and its setting at the base of a mountain that is blanketed in green trees weren't enough for your eyes to feast on, it is situated directly in front of a lake. I think Mother Nature knew this view was so special, it needed to constantly show off its own reflection. 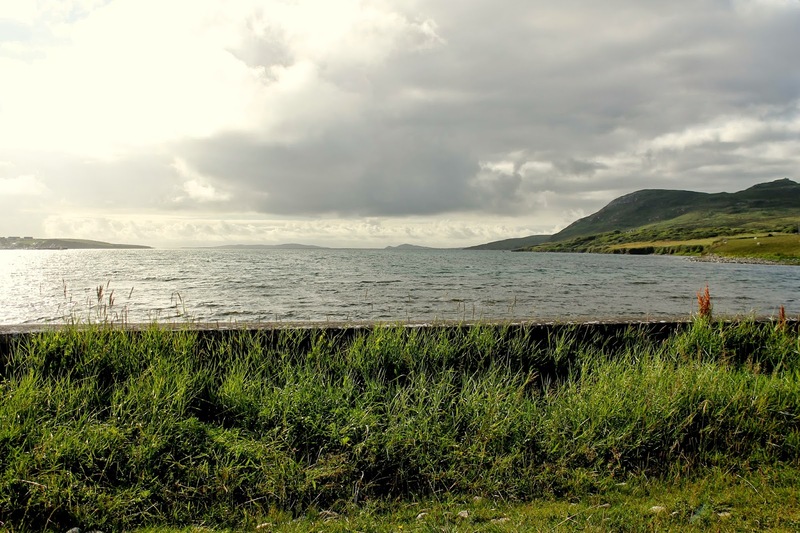 My husband wanted to visit the Connemara region because he never had the chance to come when he spent a semester living in Ireland. It was the one part of the country he hadn't been. Quite honestly, I assumed there was a reason for that, and thought we might be a bit underwhelmed by what we found there. And because my husband requested that I not plan too much for our days there, I hadn't even read much about it in advance (somewhat unheard of for me). But take a look at what we found. And I think you'll agree that it was definitely worthy of our three days there. 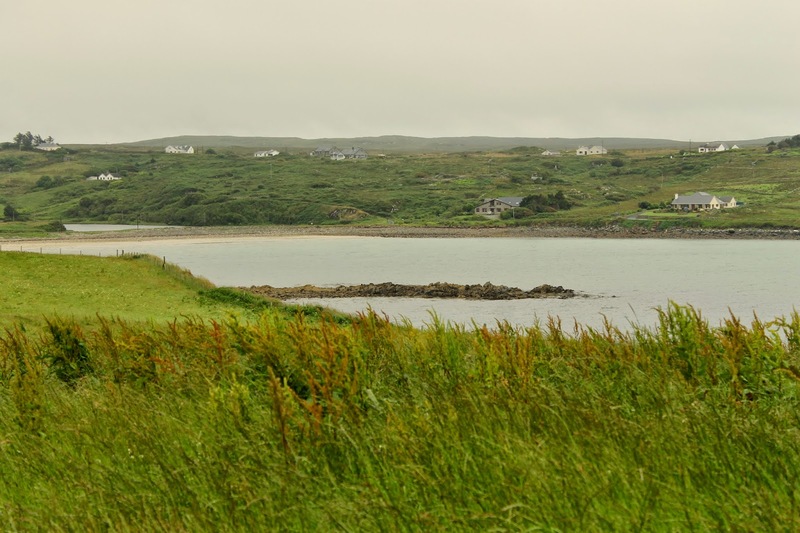 It was everything you hope for in an Ireland vacation: remote villages, charming cottages, rolling hills that fall into deep blue water, sheep dotting the fields. We even saw mountains and beaches. It even rained the entire time we were there! And what we loved most is that it still seemed a bit undiscovered. Sure, there were fellow tourists there admiring the views just like us. 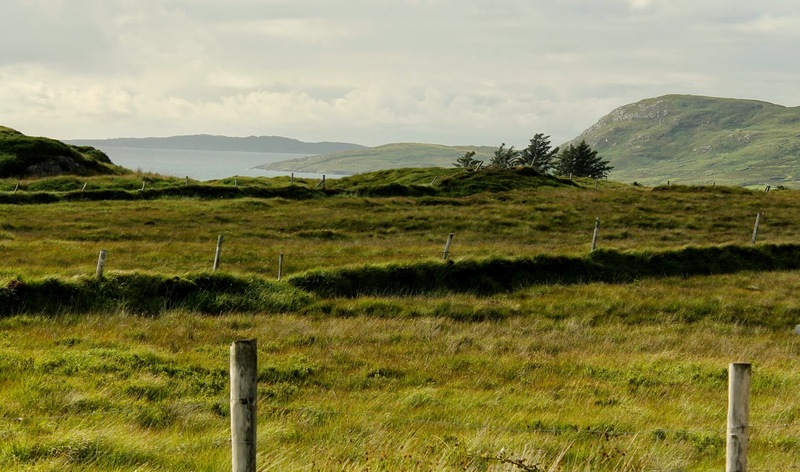 But it wasn't overrun with travelers like some areas of Ireland. This post is a part of Friday Postcards at Walking on Travels. I'm not really big on regrets. When my husband returned home from his own study abroad experience in Ireland, I spent a lot of time looking at his photos. 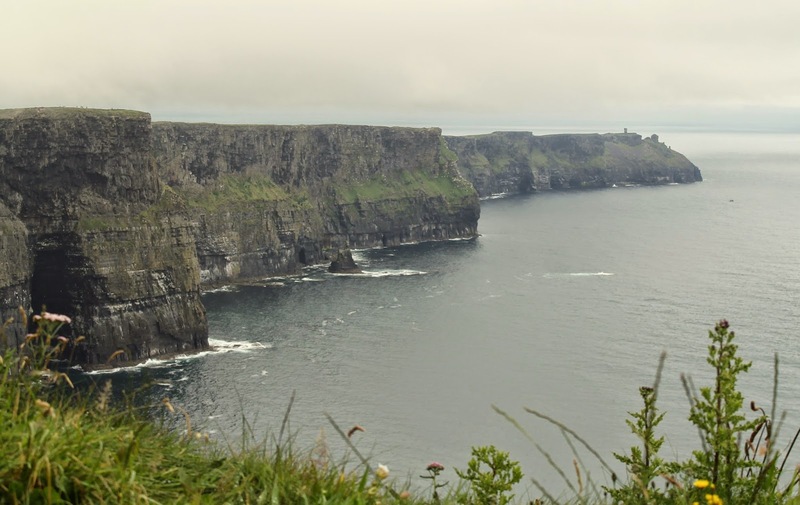 Of all the amazing places he went, I got completely fixated on the Cliffs of Moher. 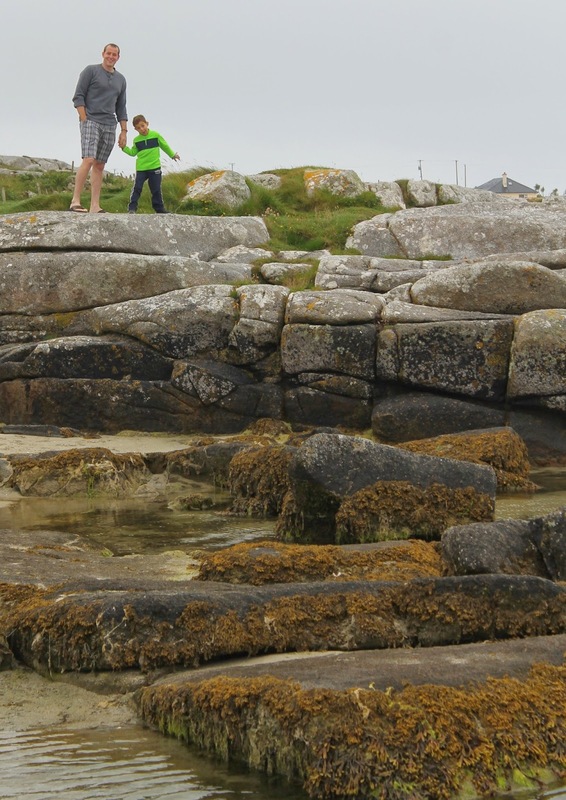 We hadn't been able to travel to this spot on the west coast of Ireland when I visited him because the logistics just didn't make sense. But ever since, I have longed for the chance to see it. I'd love to say that my kids are always up for an adventure. That they're brave beyond their years, happy to try new things. But that's simply not always the case. I suspect that's true for most children. For some reason, both my boys are quite scared of animals. I'm sure that's partly because we don't have any pets (Big Arrow is terribly allergic to dogs and cats.) 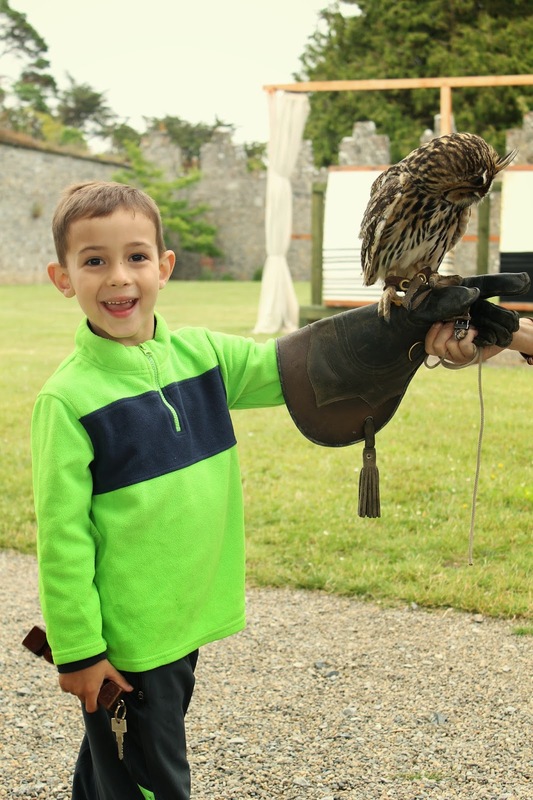 When we were asked to participate in a falconry course at Adare Manor in Ireland, I was relatively certain it was just going to involve lots of hysterical crying and two boys clinging to my legs while I tried to get them to participate. So to convince them that this was a good idea (indeed, one of those once-in-a-lifetime opportunities), I had to dig deep into the parenting bag of tricks and drop the ultimate incentive. Big Arrow has been begging us to read the Harry Potter series to him for a year now, so when I told him HP has an owl and that we were going to get to hold some owls, his initial look of terror transformed into a "how quickly can we get started" look. 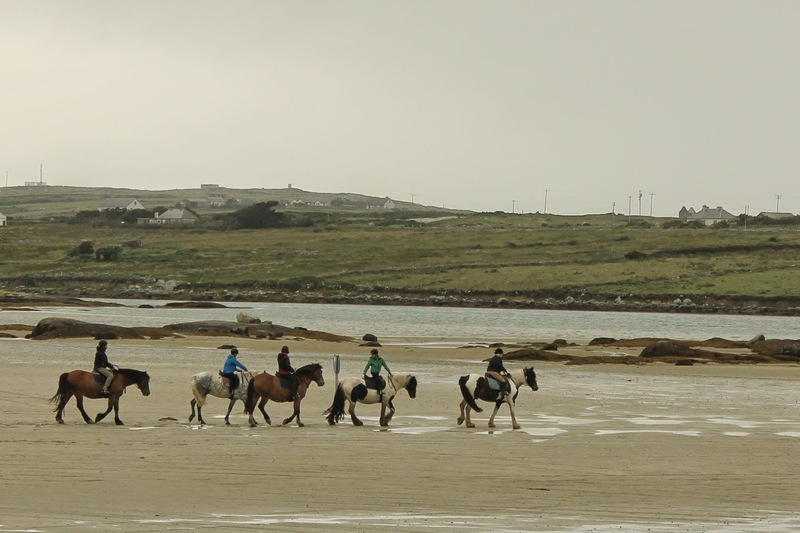 If you're a lover of Ireland travel (and who isn't? 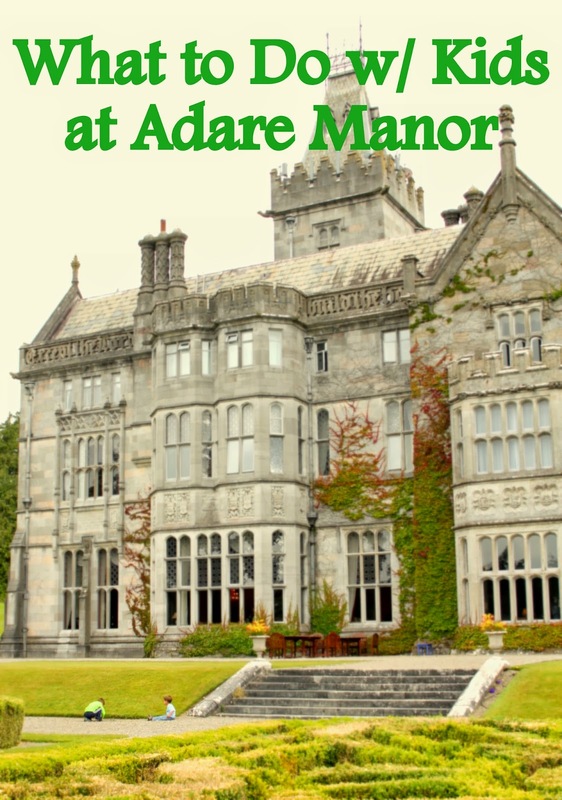 ), you may have heard of Adare Manor. It is widely considered to be one of the finest hotels and resorts in the country... a country known for its fair share of fabulous places to stay. 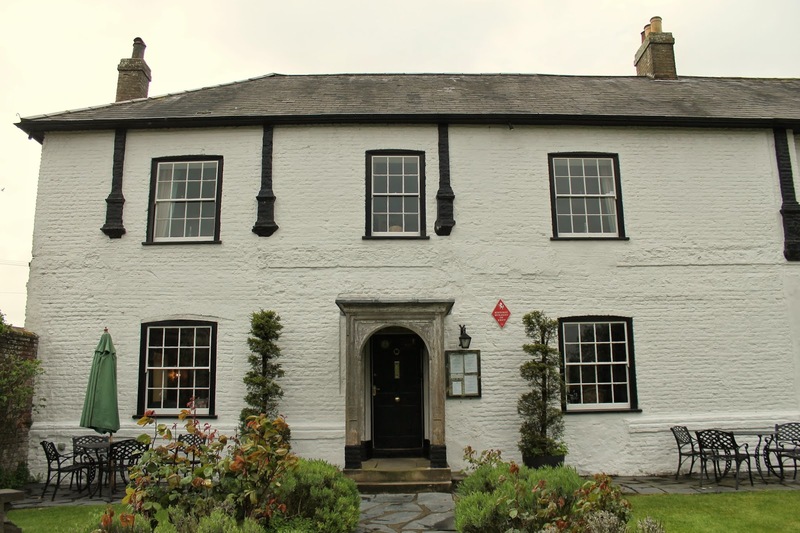 When I had the opportunity to experience a stay at Adare with my family in July for a review at Ciao Bambino, I was a bit intimidated at first. My boys don't exactly sit still with their hands in their laps for even 5 minutes. I wasn't sure we belonged in a property as luxurious as this. Holidays are a challenging time when you're an expat. Living abroad means not spending those key days each year with your family and friends by your side, as you're likely accustomed to doing. And then there are those holidays unique to your specific country which slip by without any fanfare. For us, Thanksgiving and 4th of July will always be emotionally difficult, if for no other reason than it's just a normal day of the week all around us. Last year, July 4 was particularly depressing. My facebook feed was full of updates and photos of celebrations, cookouts, pool parties and fireworks. Having only been here a month, we basically knew no one, and I sat around most of the day in a funk. I vowed next year would be different. 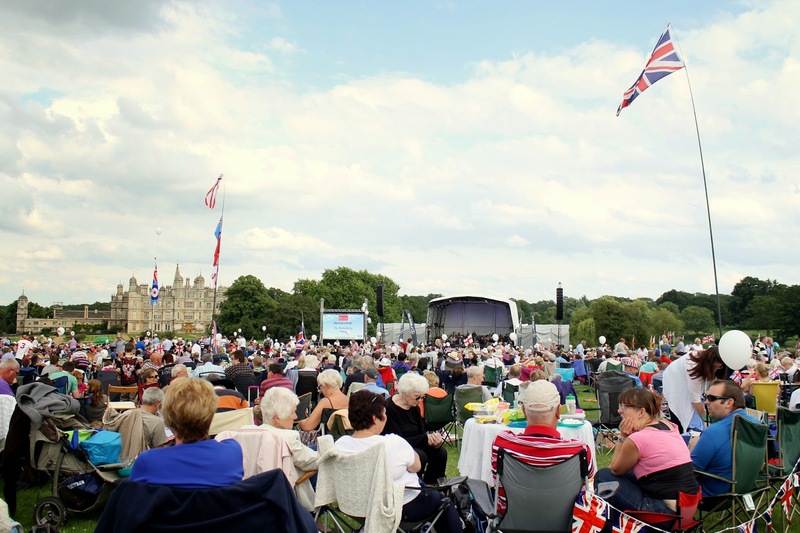 So when some friends mentioned going to the Battle Proms concert, scheduled for July 5, I thought it sounded like the perfect solution to beat my homesickness. What's Battle Proms, you ask? I wrote a description for Anglotopia here, but essentially it's an outdoor classical music concert with a military twist. They're held in several locations around the UK, and we were fortunate to have one hosted at Burghley House, the famous Elizabethan home right here in Stamford. There's a line in our family's favorite children's book, The Gruffalo, that keeps coming to mind whenever I think of our time in Biarritz in May. "You lead the way, and I'll follow after." My kids are oblivious about the nuances of travel. As long as their bellies are full and they can run around a bit, they're relatively content. That's true whether they're at a highway service station on a road trip or a gorgeous, five star resort on the beach. Makes no difference to them. Whereas we adults sometimes get so caught up in whether or not our hotel lives up to its TripAdvisor reviews or if the service at the restaurant was too slow. 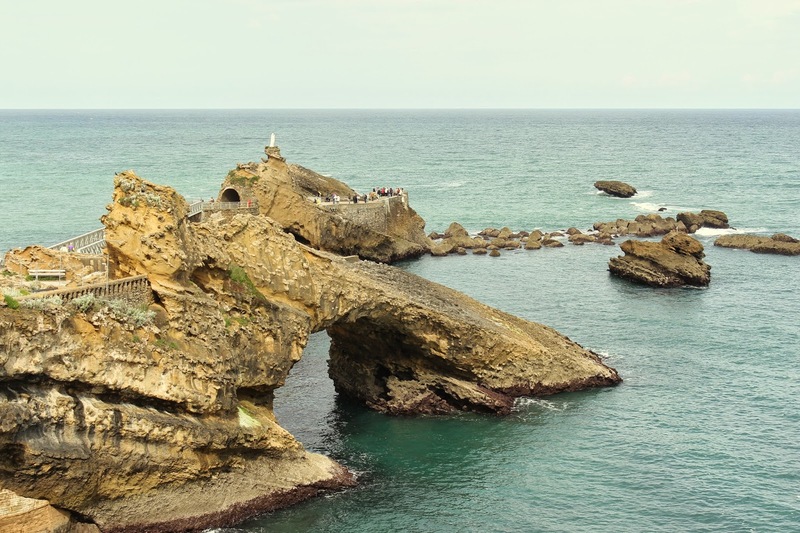 Our only full day exploring Biarritz was a great example. Here we were, in one of the poshest cities in Europe. Passing by stores with names like Herve Leger and Hermes (thanks to excessive watching of the Rachel Zoe Project when Little Arrow was a newborn, I at least recognize these names!) People sitting in cafes, wearing sunglasses worth more than my entire wardrobe, sipping fancy drinks. Surfers, with their six-pack abs, clutching their boards ready for a day hanging ten. My kids didn't pick up on any of this. They simply knew this place had a beach, and therefore it MUST be amazing. So they happily pranced out to the Virgin Rock in their dusty, hand-me-down crocs, as if they were running to catch that perfect wave. There are so many reasons I love traveling with my kids. I could probably list one each day and never run out. But by far the best reason is the quality time you spend together. Away from all the distractions of "real life." I had just such a moment on our recent trip to Bordeaux aboard the Visiotour. 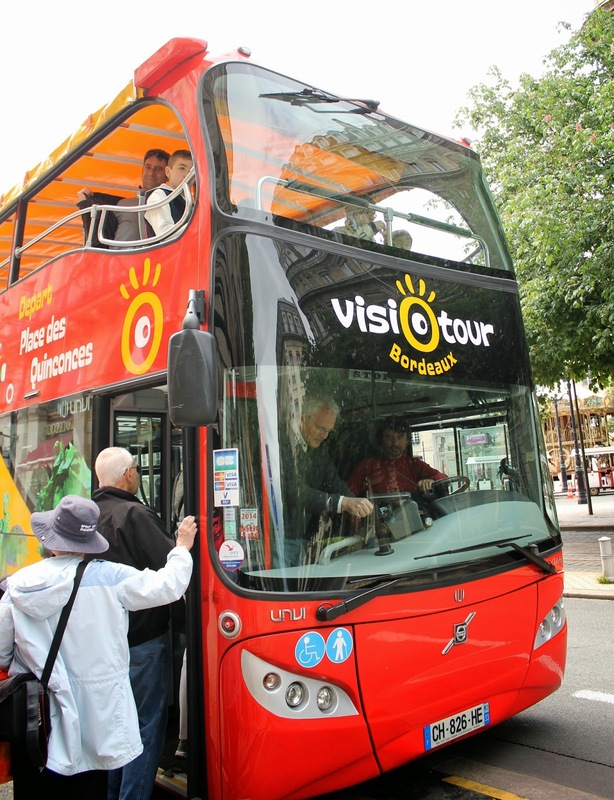 This is a 70-minute tour around the city, aboard an open top, double decker bus. We did something we rarely do as a family on vacation... we split up, and Big Arrow and I went on the bus tour, while my husband and Little Arrow took naps back at the hotel. Our morning at the Sunday market in the Chartrons area along the Garonne River in Bordeaux was the stuff dreams are made of. Full of special moments that I want to remember down to the smallest details. What's more amazing than a true French market? But it didn't start out that way. Big Arrow whined and complained the entire walk and tram ride to the market. Little Arrow refused to sit in his stroller or hold on to anything on the tram. I was beginning to think the morning was going to be a disaster and involve juggling two grumpy kids. And then, as we departed the tram at the Chartrons stop, I spotted a playground. Instantly, moods did a 180 and the vision in my mind for how the day might transpire began to materialize. Instead of scowls, there were smiles all around. We thought it might rain for our entire two-day visit to Bordeaux. That's what the forecast was predicting, that's what the sky was suggesting. But other than a brief, light shower on our walk to the tram stop near our hotel our second day there, it never actually did. We're so thankful, as we spent the bulk of our time outdoors. 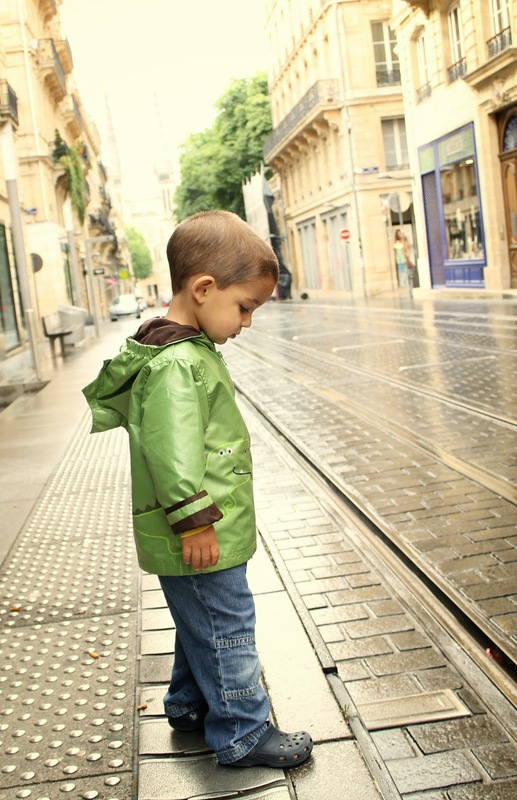 (Although I love the shiny look of the streets in this photo, not to mention the green dino rain coat.) 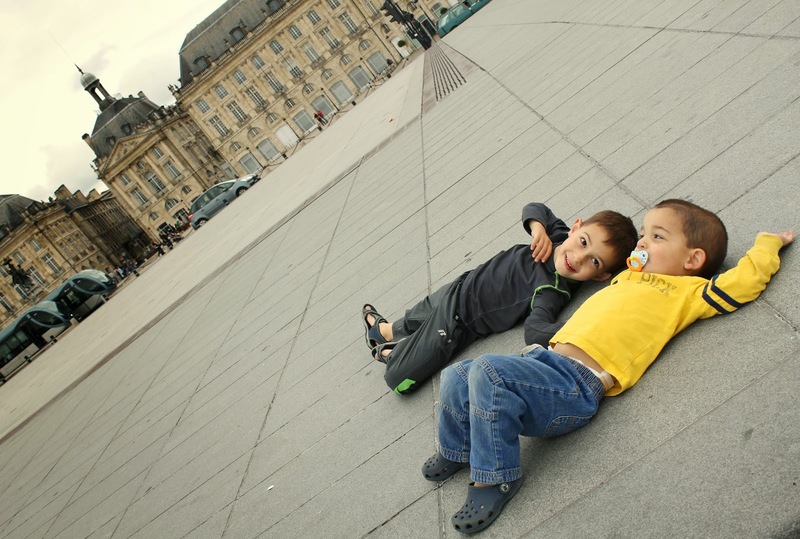 You can read all about our time in Bordeaux and Biarritz at Ciao Bambino. This wraps up my Moments in France postcard series. (See my previous posts here and here.) You can expect a few more thorough posts about our time there here and at Ciao Bambino over the next few weeks, including reviews of where we stayed. All day long we dangled the promise of a late afternoon trip to the beach in Biarritz over Big Arrow's head. We spent a busy morning sightseeing around the city, which involved a lot of walking on his part. (Not his favorite activity.) He had fun at the various stops we made, but must have asked us at least a dozen times when he could finally go to the beach. If you have young children, you know these were not polite questions, but more the slow burn of the dreaded whiney voice. So after naps, off we went. 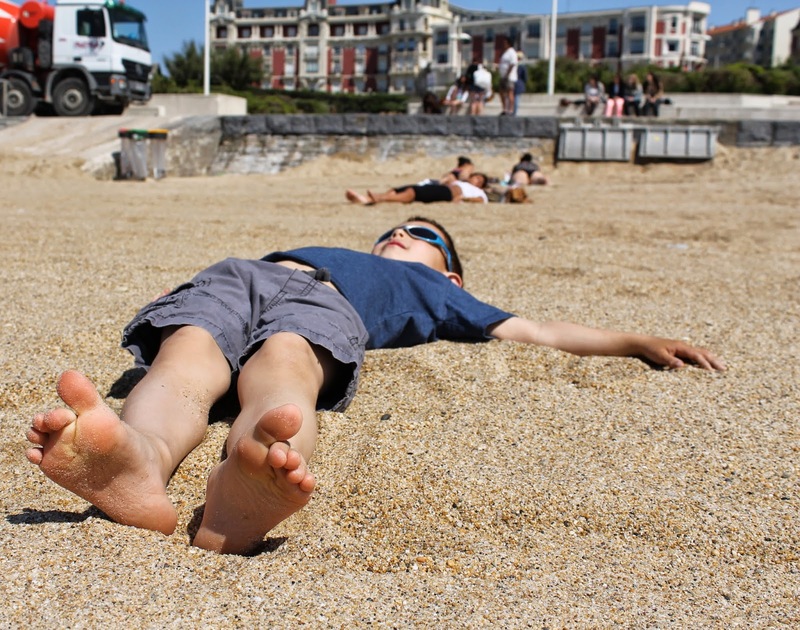 And barely had our feet hit the sand when he dropped to the ground and said, "Mom, let's sunbathe." 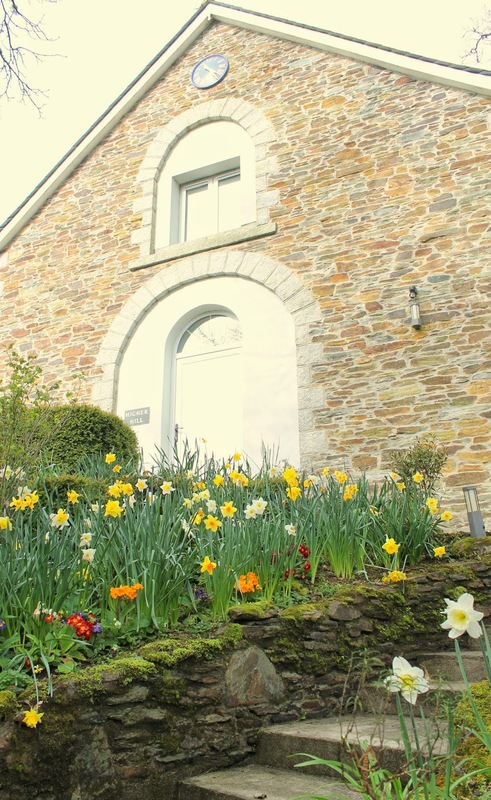 I initially looked into a stay at Bosinver Farm Cottages (full review at Ciao Bambino here) because I saw photos from another travel blogger who stayed there, and it looked like great fun for kids. To be honest, I knew nothing about Cornwall, the southwestern most part of England. Once we were booked to visit the area, I naturally started reading up on it, and more importantly, started seeing pictures of the area. I was simply stunned... 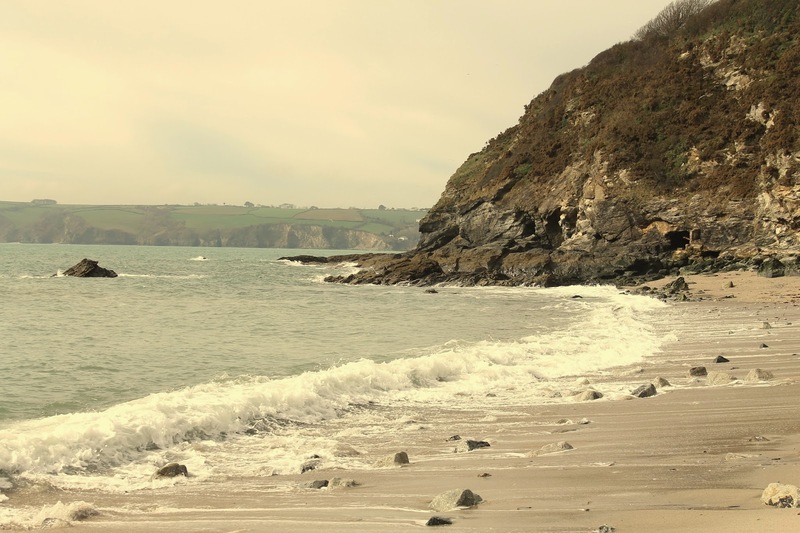 I had never realized that some of England's coastal areas were so spectacular. While I'm learning all about the beauty of rural England just by looking out my window each day, it's relatively flat around the East Midlands where we live, and we're about a 90 minute drive from the coast (in the Norfolk area... also relatively flat). So I was really excited to see a more unique English landscape for myself, and introduce this part of the country to my parents during their visit. And it definitely lived up to the hype (and made the 5+ hour drive worth it!). Our first taste was a trip to the beach closest to Bosinver (about a 10 minute drive away), called Carylon Bay. Happy 5th Birthday, Big Arrow! As you might already know, I write a post to each Arrow on their birthday. (Links to Big Arrow's 2nd, 3rd, and 4th, and Little Arrow's 1st and 2nd, if you want to catch up). It's the end of April, so even though I'm in complete denial about it, Big Arrow is turning five. 5. FIVE. Maybe the more I write it the more I'll believe it. I've been talking to lots of friends and family back in Indiana about what a long, horrible winter it was for them. For those of you not from the area, there was a period of several days when everyone was (no exaggeration) frozen inside their homes. Not to mention almost weekly storms that dumped anywhere from several inches to a couple of feet of snow. On this side of the pond, we had a much milder winter. I sometimes neglected to mention to those back home that we could occasionally still visit the playground or take a hike in the woods without risking instant frostbite. But even without the frigid temps of America, gray, rainy days still got the best of me mentally at times. A highlight of my sister's visit back in January was a day trip to Cambridge. We're so fortunate to live just an hour from this remarkable place. I wrote about a kid-free day in Cambridge here and here, back when I visited while we were in the early stages of planning our move to England. It was fun to return, and this time bring the boys. 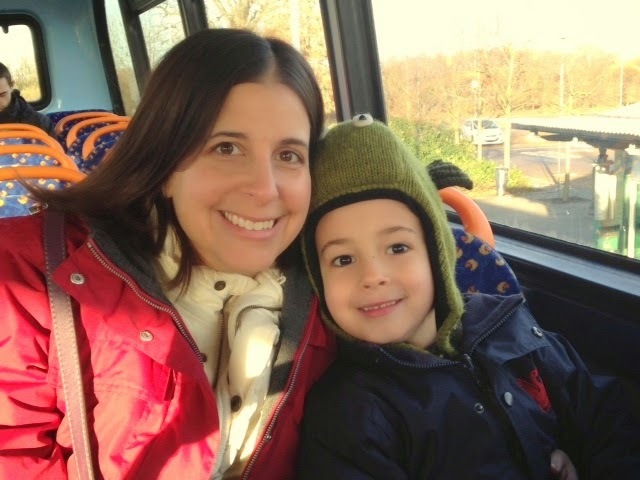 Our day started with a double decker bus ride on the Cambridge Park n' Ride system (it's easier to park on the outside of the city centre and just take the bus in). These moments are always a good reminder of why it's so fun to travel with little ones. We could have just taken a spin on the bus and they would have been happy with that. Whenever I undertake a major organizational project (like cleaning out a closet), it always looks messier at first, but by the time I finish, the results are usually pretty great. I think moving abroad is like that, too, at least for us. The first few months were a little ugly, but the more we get adjusted, the better it looks. 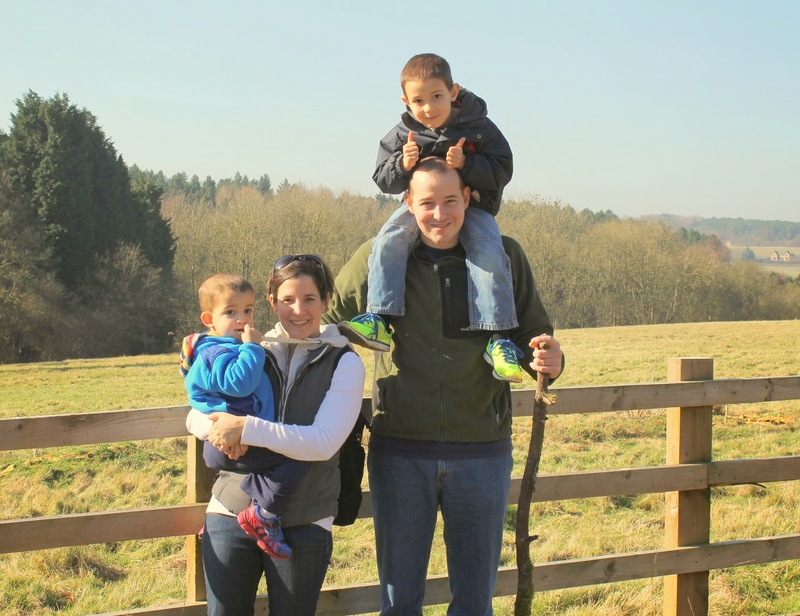 As I shared a few months ago in my post about our 6 month anniversary as expats, we are really settling into life here in England. I can't decide whether it is normal to take several months for a place to feel like home, or if that's actually a pretty impressive length of time given the amount of changes our family made when we moved here. Regardless, I can already tell that the whirlwind of emotions I've had over the past year has stabilized. I was recently asked to submit a tip for current or future expats for the HiFX Expat Tip Page, which got me thinking about some of the highs and lows of this experience. Before I forget what this first year has really felt like (hindsight is always 20/20, right? 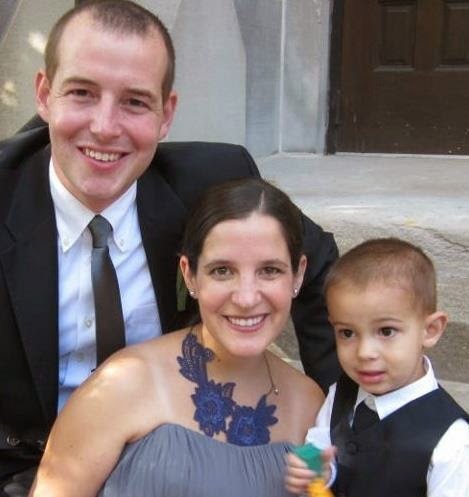 ), I wanted to share a bit about the emotional realities, at least for our family. I think I've been putting off writing about our day at Parques das Nacoes in Lisbon for a few weeks simply because it's probably my last post about our Portugal trip and I just don't want the fun to end. But alas, there are more trips on the horizon this spring that promise to be just as wonderful. So out with the old, in with the new... We had a lovely few hours at this redeveloped part of the city, so I'll mostly let the photos tell you all about it. We spent our morning at the Oceanario de Lisboa, which claims to be the second largest aquarium in the world. Naturally, the boys loved it. What's not to like about giant tanks of sea life? 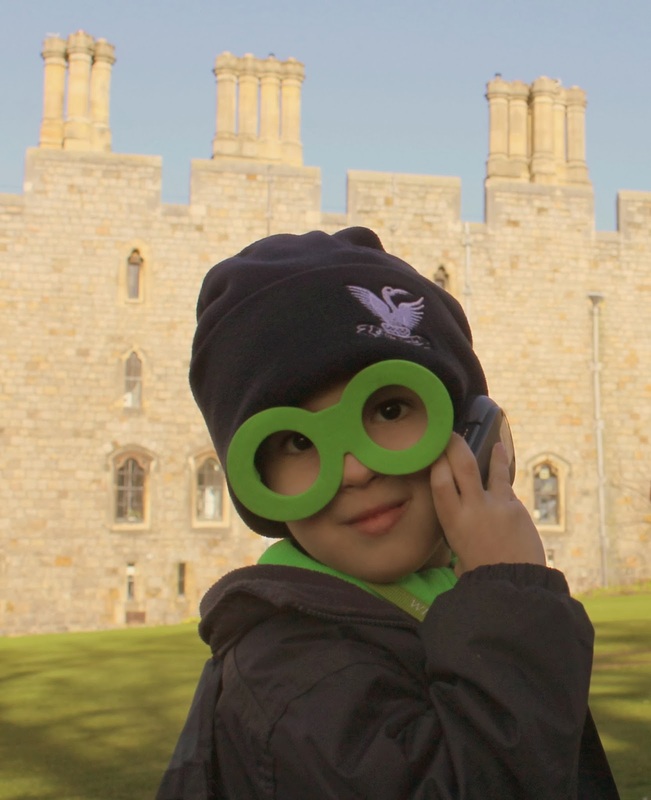 What Can Kids Do at Windsor Castle? 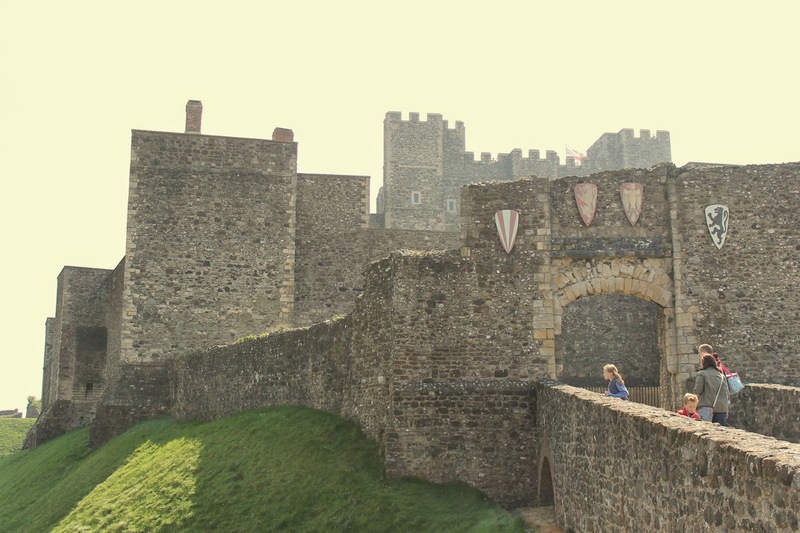 A few days ago I shared some of my favorite photos from our visit to Windsor Castle (and I wrote a more comprehensive post about visiting Windsor at Anglotopia). But what did my 4- and 2-year-old sons do while we were there? Pick up the children's audio guide. Our day in Windsor Castle last weekend was perfectly lovely. Beautiful building. Exquisite, ornate interior. Charming town. Pretty much exactly what I expected. 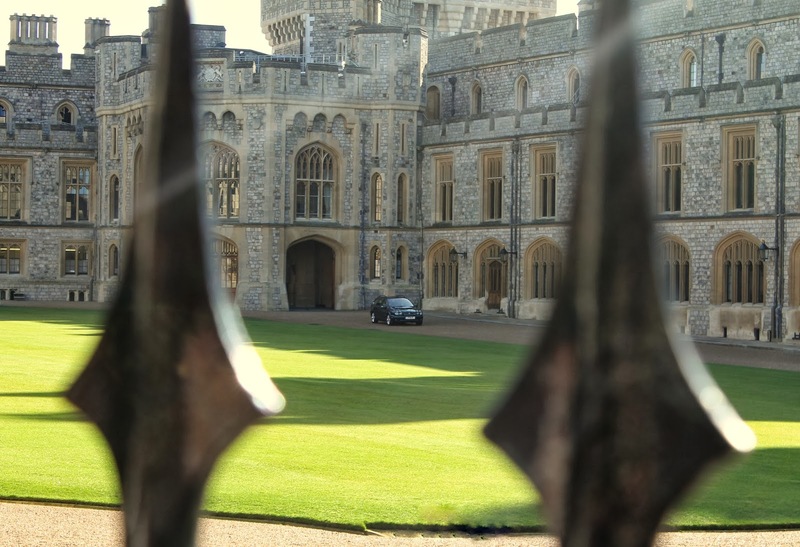 I wrote all about our day at Windsor and neighboring Eton for Anglotopia, but I left out one big detail. We met the Queen. 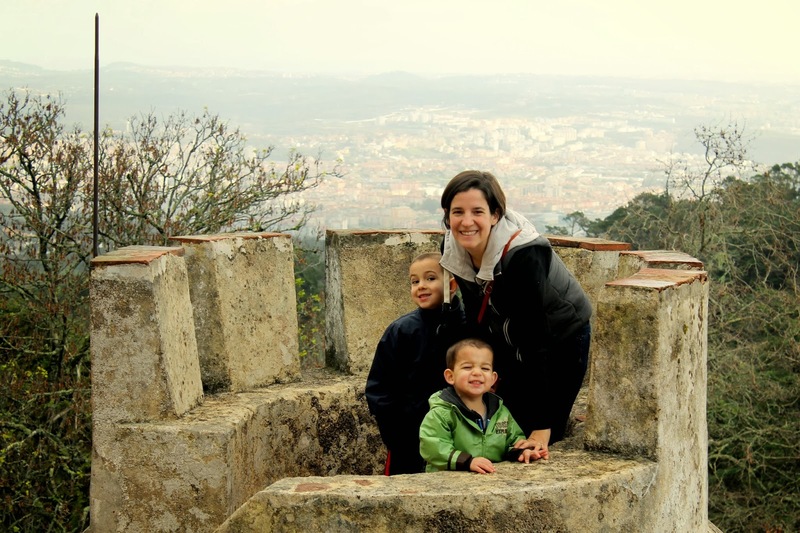 "You better write a blog post that will make this easier for the next family," grunted my husband as he folded up our double stroller for the fourth time in one day, lifting it onto yet another mode of public transport during our day trip to Sintra from Lisbon. He's right. 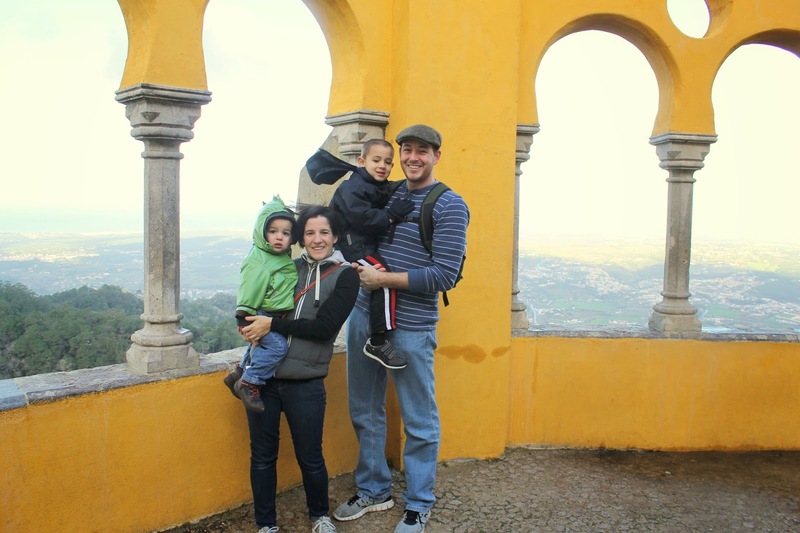 While normally I have no shortage of information to work with when planning trips and outings (I usually read several first-hand accounts of how families experience a certain location), I couldn't find much in the way of tips for visiting Sintra, a popular day trip location from Lisbon. In fact, I almost gave up on the idea of going altogether. The concierge at our hotel discouraged us, thinking it would be too difficult with kids so young. But fortunately, we persevered. Because it was truly one of the most spectacular places I've ever been. 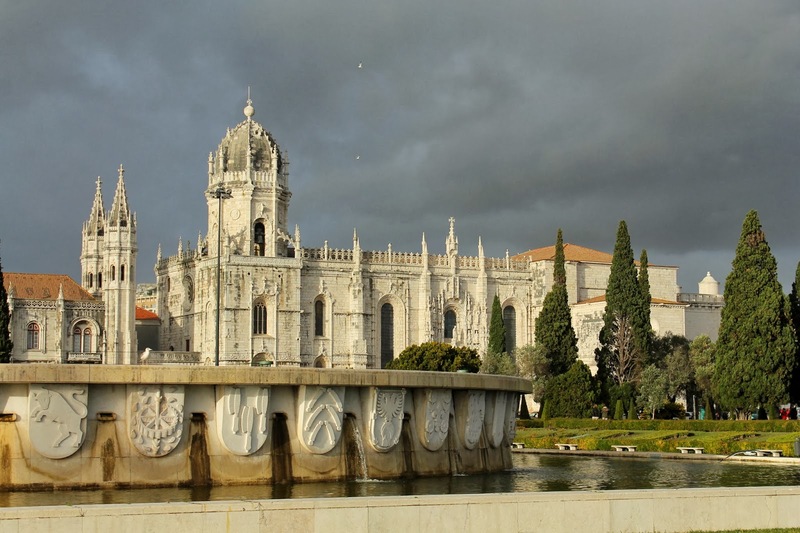 Portugal pays tribute to this era most notably in the Belem parish of Lisbon, located along the Tagus River, where many of the ships departed on their worldly voyages. Besides being aware of the landmarks that are located there, I knew little about Belem, so it was a toss-up as to how much the boys would enjoy it. After all, they don't have a sense of the enormity of this history yet. Fortunately, each of the major monuments found there was surrounded by wide open spaces, statues, gardens, and plenty of people to make it interesting enough for them. In fact, it was the perfect starting point for our time in Lisbon. 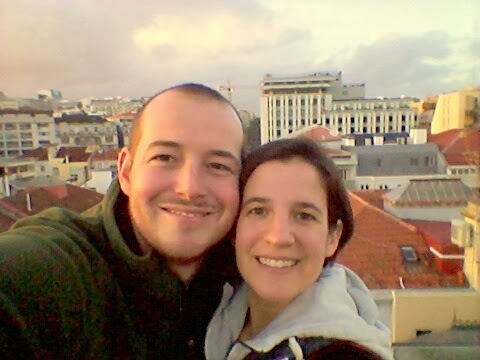 As I sat down to write about our time in Lisbon, I was trying to put into words why I enjoyed the city so much, what made our time there special and different from other cities we have visited. And upon reflection, one observation stood out to me. We didn't go to a single park or playground. Not one. I'm not really bragging about this... we love parks, especially ones in big cities. 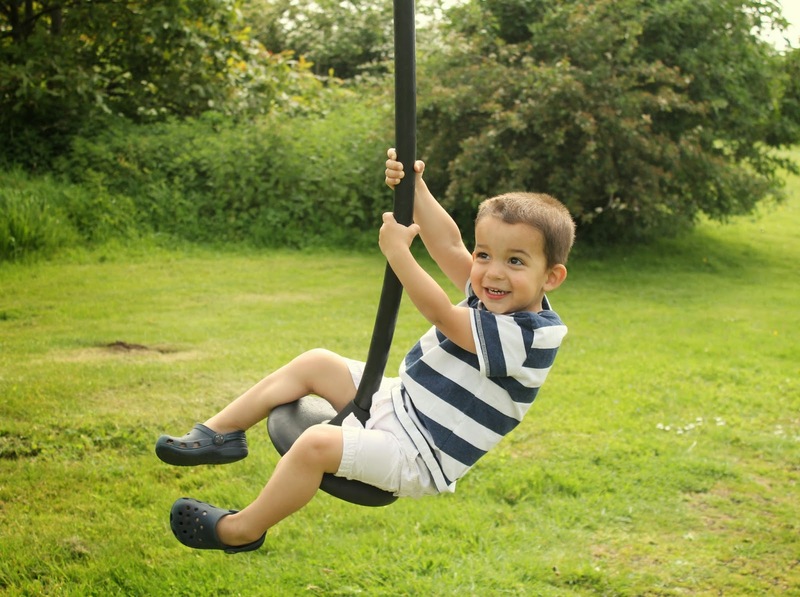 I'm a huge believer in the importance of some playground time when traveling with kids. It wasn't because we had lousy weather. It was quite beautiful for most of our stay, aside from the stray rain shower. And it certainly wasn't because Lisbon didn't have any parks to offer us. I had researched several in advance of our trip and I'm bummed we never made it to any of them. Day 1: Our arrival day. 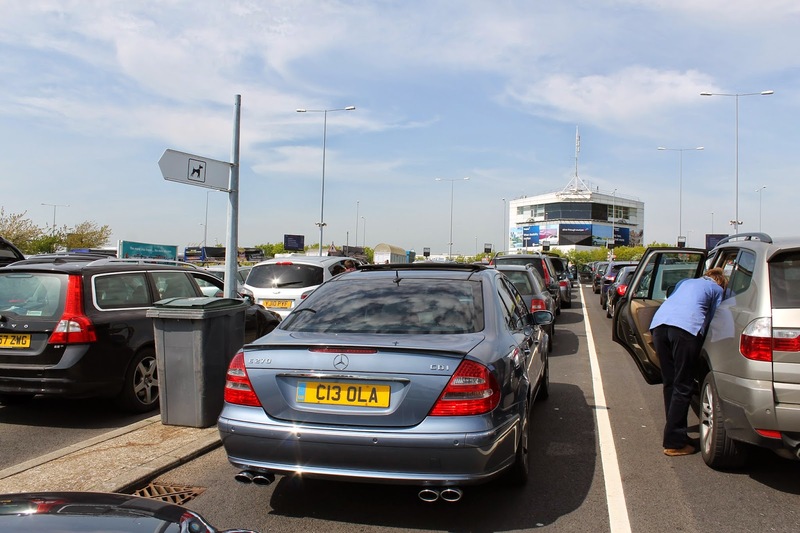 After a 4 a.m. wakeup time for our flight out of London's Luton airport, we got settled into our Altis Prime apartment (a full review at Ciao Bambino to come!) and let Little Arrow take a well-earned nap. Once he woke up, we took the tram to the Belem parish, an area of the city that celebrates the Age of Discovery in a big, beautiful way. 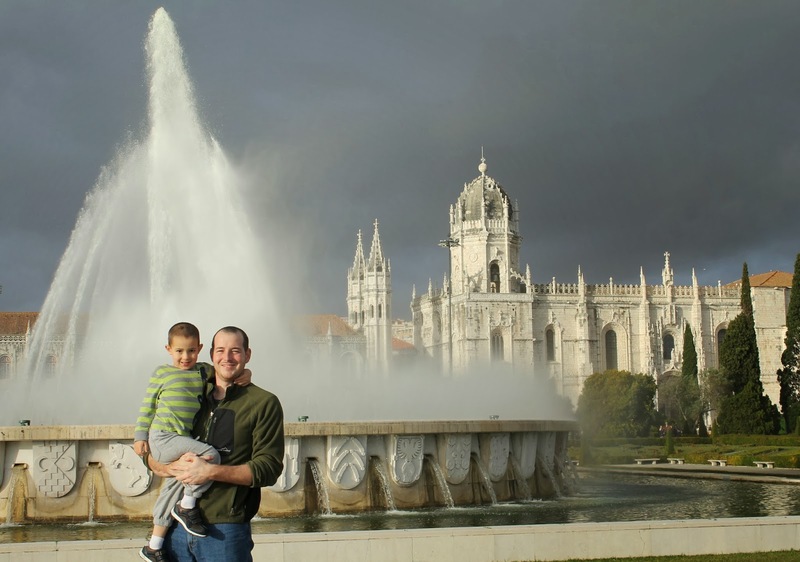 We spent the bulk of our time there letting the boys run around while we admired the Mosteiro dos Jeronimos, a monastery built by Henry the Navigator, and the Monument to the Discoveries which is directly across the street. Then we grabbed a tram back, had a late dinner, and collapsed into bed. Day 2: After breakfast, we took the metro to Parque das Nacoes. I know I said we didn't go to a park, but the name is a bit misleading. 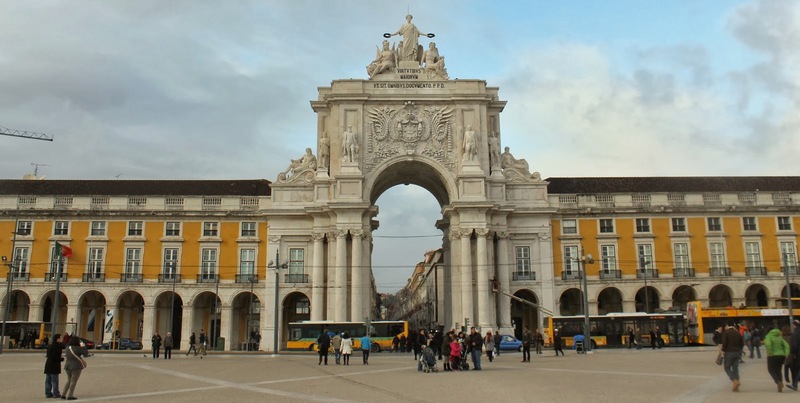 This part of the city was developed when Lisbon hosted the 1998 World Expo (the name translates to Park of Nations). It's full of shops, restaurants, stadiums, and several big tourist attractions. 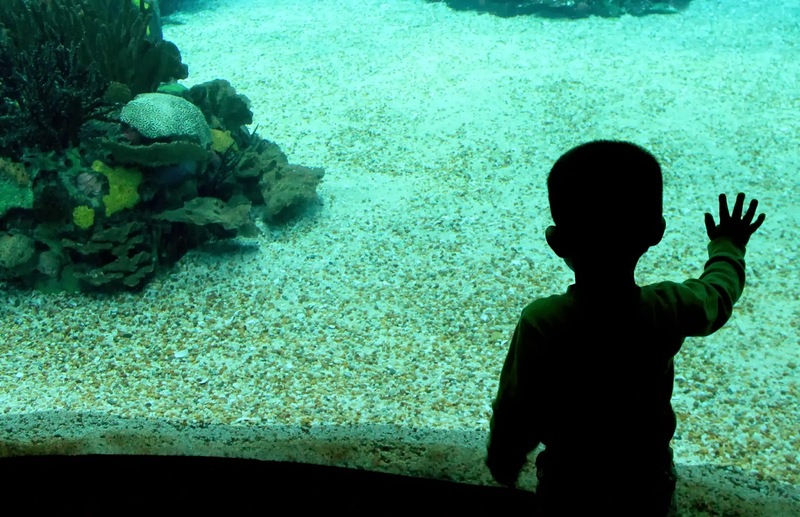 We went to the Oceanario de Lisboa, the world's second largest aquarium. It was really impressive. After the Oceanario, we were drawn to the Telecabine dangling above our heads and hopped aboard. We opted to take it one-way, and then walked back to the metro/train station (Estacao do Oriente) from the other side. We had a quick lunch there before heading back to our apartment. Day 3: This was our big day trip to Sintra. It's about a 45 minute train ride out of Lisbon. Once in Sintra, we stopped for coffee and pastries while we waited for everything to open for the day. We then caught the bus for Palacio da Pena. We explored the palace for a couple of hours, and then headed back into Sintra's center for lunch. After lunch, we shopped for souvenirs while we waited for our train back to Lisbon. Later that afternoon, we took the boys swimming at the hotel pool next door to our apartment, which was a really nice break for them (and us) after a big day of sightseeing. We also watched the sunset from our apartment building's rooftop deck, cocktails in hand. 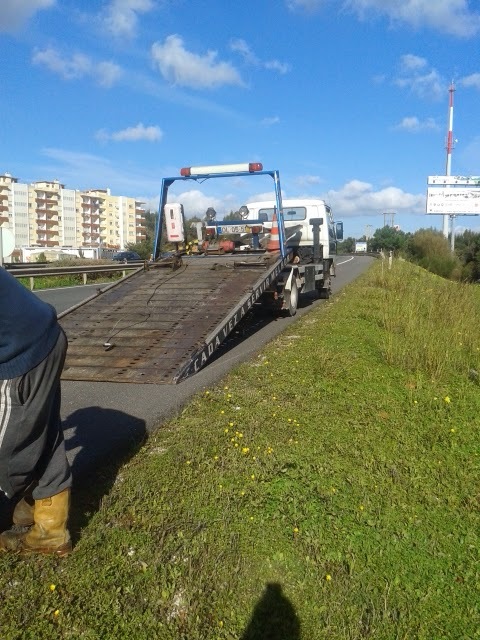 A fitting ending to a perfect Lisbon getaway. I'll be writing a post about each of our days in Lisbon in more detail in the weeks to come. Trams are a great way to get around and fun for kids (especially the historic ones). You can buy tickets from the driver once on board (or the modern ones have ticket vending machines). Try to know your route in advance, as the driver won't typically announce each stop. If you can, sit or stand by the window so you can see the stop names as you approach. And plan to fold up your stroller, the trams get very crowded. Most people working in the hospitality industry will speak basic English. We had no trouble communicating with anyone during our trip. That being said, it's always nice to learn a few of the basics when traveling, like hello and thank you. Four days would have been ideal. There were several other big attractions I wanted to see but there just wasn't enough time without pushing the boys too hard. Upon deeper reflection, I think we never made it to a park or playground for one simple reason: we didn't really need to. The boys played tag around various historic squares and spaces, climbed up turrets at Pena Palace, and got so much fresh air just walking around the city. There are portions of Lisbon that are tight and cramped (and charming! 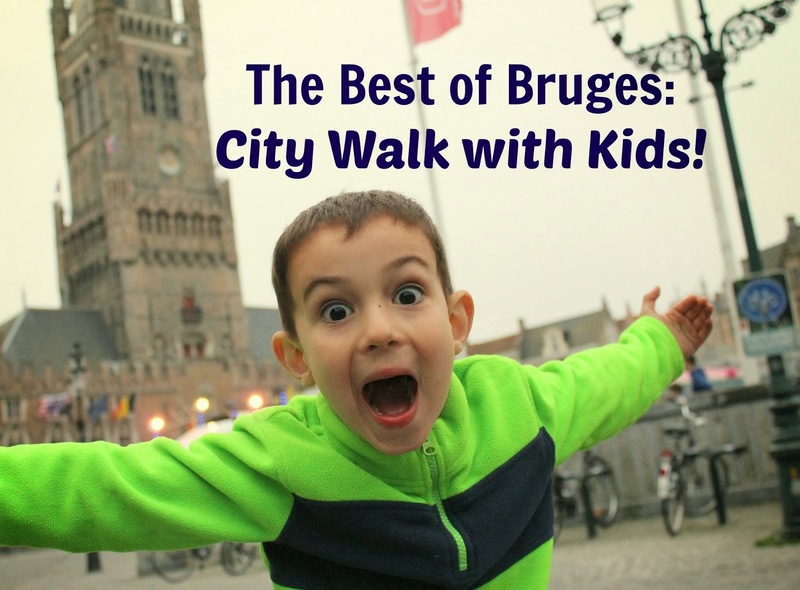 ), like any European city, but for the most part, I never got that desperate need for space for the kids to run around that I sometimes get in urban areas. 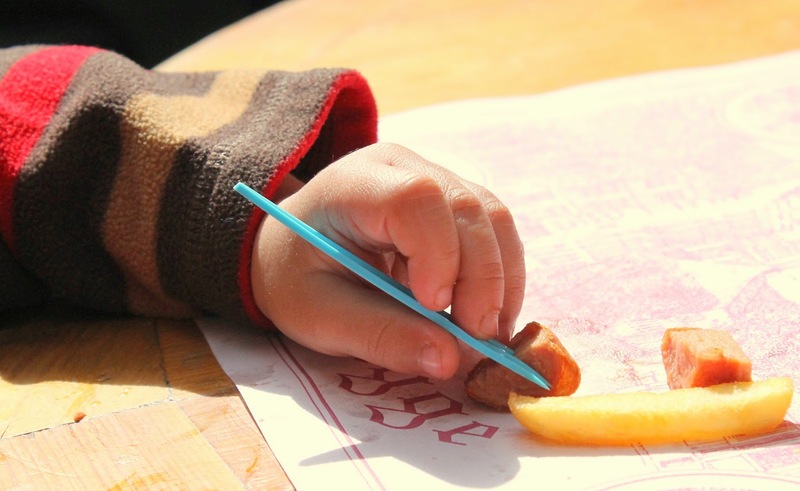 Plus, the Portuguese culture is so family centered and accommodating to young children that I also never felt unwelcome in the busier parts of the city. 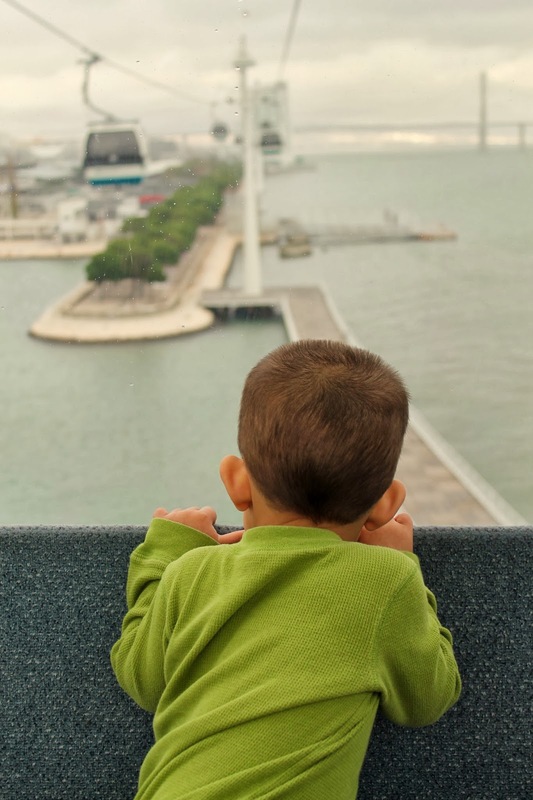 If you have dreams of visiting Europe with young children, Lisbon would make a terrific starting point (and Portugal in general). It has so much history and character, all the amenities you could hope for, and a culture that adores children. 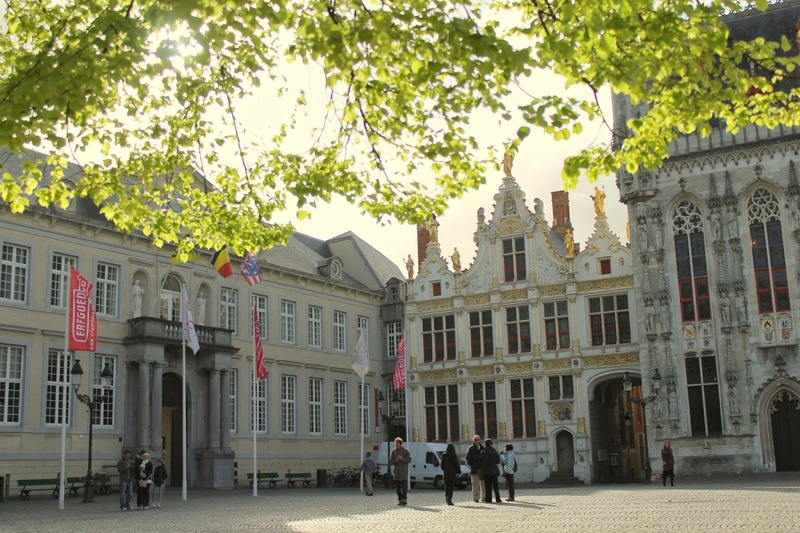 Aside from the expensive flight across the Atlantic to get there, it's a relatively affordable destination once you arrive. Plus, it even has a few parks and playgrounds, or so I'm told.